He could rename the “Countering Violent Extremism” program to “Countering Islamic Extremism,” according to Reuters sources. The Trump administration wants to revamp a U.S. government program designed to counter all violent ideologies into one that gives a pass to white supremacists and focuses solely on Islamist extremism. The program, “Countering Violent Extremism,” would be changed to “Countering Islamic Extremism” or “Countering Radical Islamic Extremism,” five sources told Reuters, and would no longer target groups such as white supremacists who have also carried out bombings and shootings in the United States. Many community groups had already been cautious about the program, partly over concerns that it could double as a surveillance tool for law enforcement. The Obama administration sought to foster relationships with community groups to engage them in the counterterrorism effort. 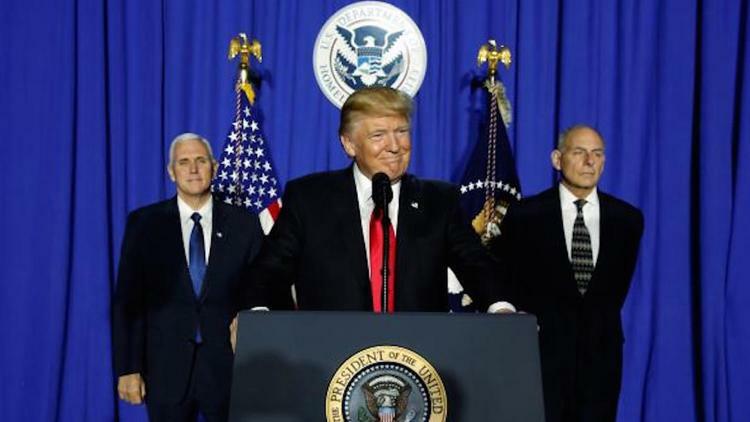 In 2016, Congress appropriated US$10 million in grants for CVE efforts and DHS awarded the first round of grants on Jan. 13, a week before Trump was inaugurated. Among those approved were local governments, city police departments, universities and non-profit organizations. In addition to organizations dedicated to combating the Islamic State group’s recruitment in the United States, grants also went to Life After Hate, which rehabilitates former neo-Nazis and other domestic extremists. Three other sources, speaking on condition of anonymity, said such plans had been discussed but were unable to attest whether they had been finalized.